You need to provide Advance Passenger Information (API) before you go on holiday if you're travelling with TUI Airways. It’s also called APIS, Secure Flight or e-Borders. In a nutshell, this is information from your passport that’s required by the governments of some countries. TUI Airways also needs this information for Aviation Security purposes. If you don’t supply API, you won't be able to travel. Flying with another airline? If you're flying with another airline, please follow the instructions on your e-ticket or confirmation email. If the airline you're flying with offers online check-in, you'll be directed to either their website or the My TUI web page. Just so you know, you'll need to have the surname of the lead passenger and the 6 character flight reference number to hand. If the airline offers check-in desks at the airport, you'll be able to supply API information when you arrive at the airport. If you’re travelling with TUI Airways, please visit our secure API website to enter your details. You'll need to log in using your API log-in reference, the surname of the lead passenger and your departure date, all of which you'll find on your booking confirmation or invoice. If online check-in is open for your flight when you enter your API information you'll need to complete online check-in at the same time. Just so you know, if you've chosen Select Your Seat, Seats with Extra Space, Seats with Extra Legroom or Premium Club seats, online check-in opens 14 days before your outward flight. If not, you can check-in online from 7 days before. Alternatively, pop in to one of our travel shops. If you've booked though our website but you ask one of our travel shops to enter your API information for you, you'll need to pay a £5.00 admin fee. If you're flying with another airline, please follow the instructions on your e-ticket or confirmation email. If the airline you're flying with offers online check-in, you'll be directed to either their website or the My TUI web page. Just so you know, you'll need to have the surname of the lead passenger and the 6 character flight reference number to hand. If the airline offers check-in desks at the airport, you'll be able to supply API information when you arrive at the airport. You can still log in and make changes if you’ve already provided your API. For security, you’ll need to re-enter the passport number you originally gave us. Travel document type e.g. passport (P). 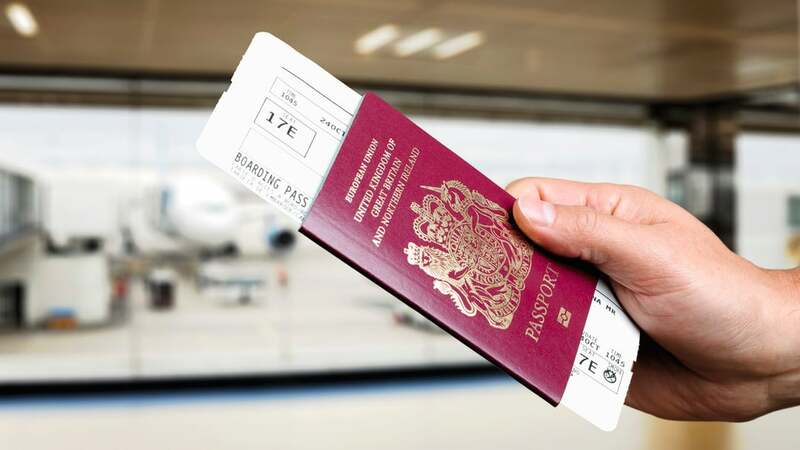 If you’re travelling on a group passport, details for each passenger listed on the passport should be entered under the same travel document type and passport number. Don't know your address in the USA? Fly drive holidays – Please provide the name and location of the car hire company and where you plan to stop first. Cruises – If you’re joining a cruise ship, provide the cruise ship name and the port your cruise leaves from. Backpackers – Please give an indication of where you’ll spend your first night. Transferring to another flight – Please give details of the departing flight number and destination. You’ll need to provide API alongside any other requirements that apply for your destination, like visas, or ESTA if you’re going to the USA. If you’re completing ESTA, your API information will need to match the details you give. If you’re travelling with TUI Airways, you need to give us your API information any time from when you book, up until 6 hours before you're due to go. Visit our Flight Extras website to supply your API information. Once you’ve given us your API information, it’s stored securely on our system until it needs to be sent to the government authorities. The information is then transmitted through a secure network up to 72 hours before your flight is due to go, or sometimes after it’s departed. After the information has been sent, it will be stored to meet API requirements and then destroyed. We comply with UK and EU data protection laws, so you can rest assured that your details are secure. Your API information will only be sent to authorised government agencies for border control and security purposes. Not flying with TUI Airways?